The simple answer is yes, you can get life insurance with Type 2 diabetes. Provided you are taking care of yourself, following your GP’s advice and your HbA1c reading is less than 9. The higher your HbA1C reading, the more difficult it will be to get affordable cover. I’ve already covered getting life insurance with Type 1 diabetes. So how do life insurance companies assess your application application if you have type 2 diabetes? From a life insurer’s point of view, type 2 non insulin dependent diabetes is less risky than type 1 diabetes. Type 1 usually happens much earlier in life and is more problematic. Because of this you will pay a lot less for your cover than someone with Type 1 diabetes. That’s not to say applying for life insurance with type 2 diabetes is a walk in the park. You have to do your homework and apply to the most sympathetic insurer. Otherwise you run the risk of a huge premium increase or even worse…a decline. Remember if one insurer declines you, you must inform the other insurers you apply to. This makes the other insurers nervous thus reducing the likelihood you’ll get cover. So the most important thing is to apply to the correct insurer first time around. But if you have been postponed or declines, don’t worry, I deal with a couple of insurers who don’t ask about previous applications. The cheapest insurer usually has the strictest underwriting. They offer the cheapest quote but only those in perfect health ever get that price. Before you apply, make sure you get an indicative quote based on your history of diabetes. 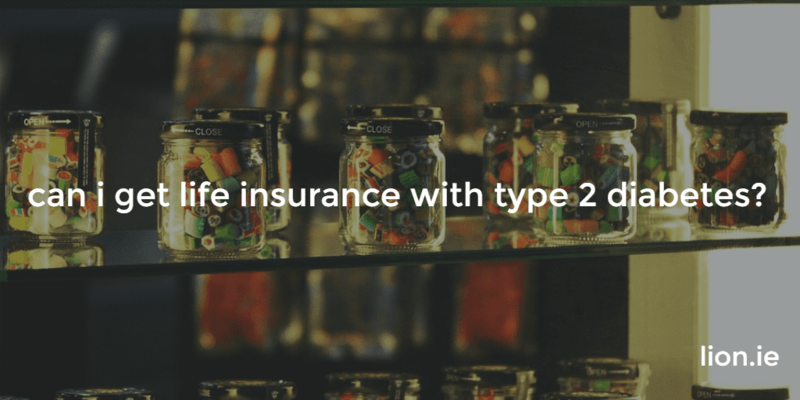 How much is life insurance for type 2 diabetics? You will pay more than someone in perfect health. If someone who is lucky enough to be in perfect health pays €50 per month, your premium for the same cover will start at €87.50. But it could be higher depending on the factors mentioned above. You may have to reduce the amount of cover you want to get in under budget. Although this isn’t perfect, it’s better to have some cover than none. What can you do to give yourself the best chance of getting life insurance with type 2 diabetes? There are some thing you can’t do anything about when it comes to diabetes, but some that you can. The important thing is controlling what you can. Insurers will look at how well you’re managing your diabetes. 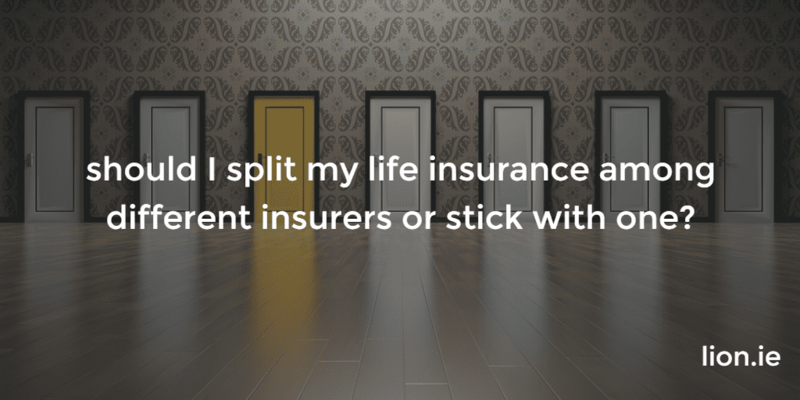 This will help them decide whether to offer you cover and the premium you’ll pay. 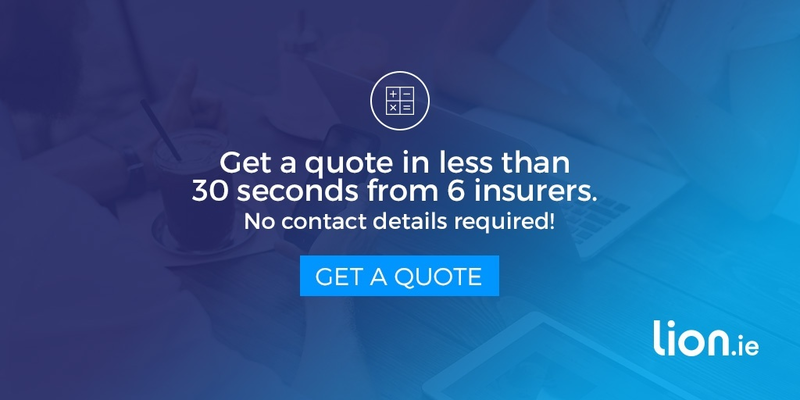 Life insurance with type 2 diabetes is more expensive than the normal quotes you can see on our quote system. But if you keep your expectations in check, I’ll be able to get you a decent level of cover at an affordable price. If you’d like an indicative quote, complete the diabetes questionnaire below and I’ll be right back to discuss your application in strict confidence.